Magenta cartridge for the HP ColorLaserJet CP3525. This print cartridge ensures excellent print quality for your materials. Suitable for personal and professional products. Cartridge yield is up to 7000 pages depending on your printer settings. 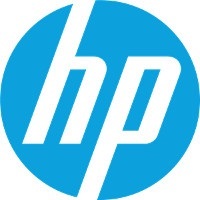 For shipping to other EU countries visit this page HP CE253A Magenta. Chcete doručit zboží do Česka? Prohlédněte si HP CE253A purpurový. Chcete doručiť tovar na Slovensko? Prezrite si HP CE253A červený. Für Versand nach Österreich, besuchen Sie bitte HP CE253A Rot (Magenta). Magyarországra történő kiszállításért tekintse meg ezt a termékoldalt: HP CE253A piros.